Gareth Huw Davies - Is it time tourism industry embraced conservation issues? Is it time tourism industry embraced conservation issues? Do you know about the gurnard? Do you really care? Read this, and I think you might. Last week this humble fish received unexpected promotion, in esteemed company. At Visit England’s media reception in London, where the country’s national tourist board and its constituent local boards previewed the attractions for the coming year, chefs from a south coast hotel served delicious, made-on-the-spot seared Rye bay gurnard on brown shrimp potato cake. They were small portions, miniatures of the dish the chefs, from the Gallivant at Camber, near Rye, served as a main course. I thought of donning a false beard and queuing for a second helping. Seriously, this was a good example of the tourism industry not hiding away in a silo pretending that testing issues such as fish sustainability are nothing to do with them. I haven’t asked Visit England if they actively procured a caterer to demonstate at the event, whose chefs promote sustainably sourced fish. (Gurnard is a by-catch, normally caught incidentally, then thrown back in, dead, as the fishermen go after the far more lucrative cod or bass.) And I accept that the organisation cannot be seen to be arbitrarily promoting certain causes, even one as non-controversial as this. But if it did knowingly advance the cause of fish that would otherwise be wasted, it deserves credit. It’s only this year (2012) that Jamie Oliver did his series of Channel 4 short films on cooking by-catch species such as gurnard, coley and dab, and Hugh Fearnley-Whittingstall moved into top gear with his TV-driven campaign Hugh’s Fish Fight, to stop this incredible waste of fish – for example half the fish caught in the North Sea are thrown back into the sea, dead — and to change the public’s fish eating habits. Hugh’s Fish Fight is taking the fight to Bussels, to change the law and end the waste. So there’s been a lot of water through the English Channel in a year. The chefs of the Gallivant told me people still ask for sea bass over the gurnard by a ratio of 8:1, but that in his opinion gurnard knocked the bass off the table – I quote loosely. And it isn’t even deliberately fished. I’m encouraged that chefs are supporting the cause of educating the public – after all, one of the best ways to find out if a fish is any good is to be served it in a restaurant. There are several encouraging initiatives on the part of suppliers and the restaurant trade. Direct Seafoods, the UK’s largest supplier of fresh fish to the catering industry, serves Michelin-starred restaurants, hotels, pubs, retail outlets, educational institutions, hospitals and contract caterers across the country. It actively sources and promotes fish from sustainable sources. 1,358 chefs and 136 UK fishing vessels have signed up to its Coastal Fish campaign, launched in September 2011. The programme aims to give long-term support to the UK’s local fishermen and to create a viable domestic market for all fish species caught by the country’s coastal fleet. The boats that land to Hastings fish merchants in SE England were the first UK fleet to sign up to the campaign. Paul Joy, chairman of the Hastings Fishermen’s Protection Society, said it was vital that the UK strives to make the most of all the species found in its waters, not just the current market favourites. 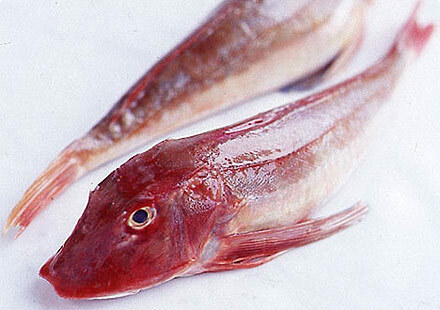 “Gurnard, dab, flounder and even cuttlefish are becoming more popular in this country. Only recently, these fish would have gone to export. The good news is people are trying things that they weren’t before,” said Mr Joy.